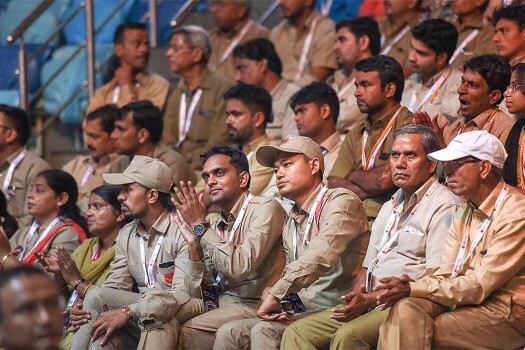 Postal staff look on during the launch of India Post Payments Bank (IPPB), in New Delhi. 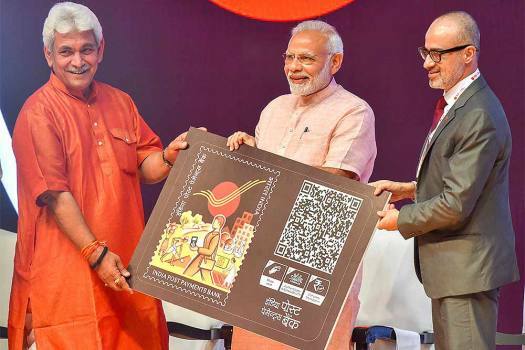 Prime Minister Narendra Modi receives his Q card from Telecom Minister Manoj Sinha during the launch of India Post Payments Bank (IPPB), in New Delhi. 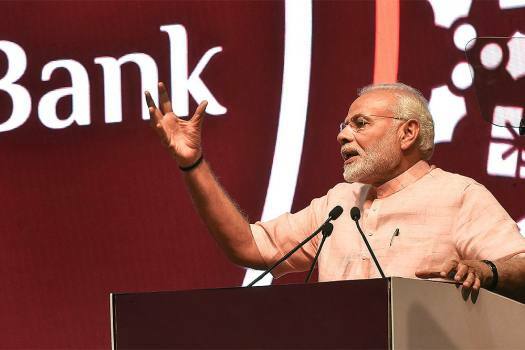 Prime Minister Narendra Modi adderesses during the launch of India Post Payments Bank (IPPB), in New Delhi. 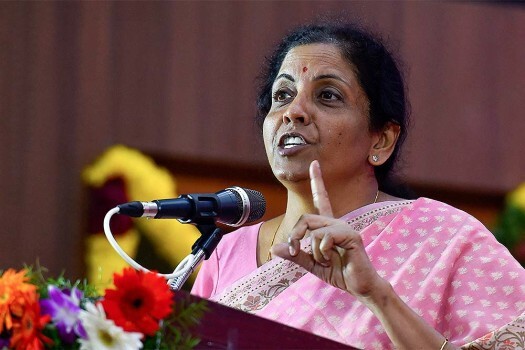 Defense Minister Nirmala Sitharaman speaks during the launch of 'India Post Payments Bank' (IPPB), in Chennai. 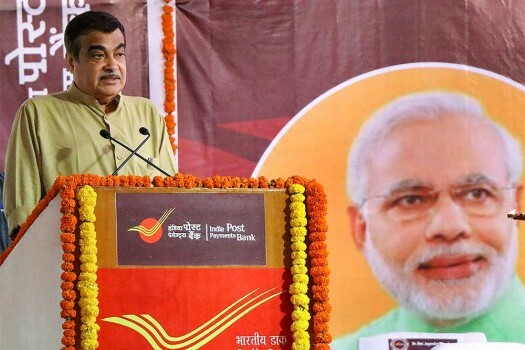 Union Minister Nitin Gadkari speaks during the launch of "India Post Payment Bank" (IPPB), in Nagpur.